What’s going on with YouTube? According to Variety, the streaming service has cancelled the TV shows Origin and Overthinking with Kat & June. A sci-fi drama, Origin centers on a group of strangers who are left stranded on a spacecraft. 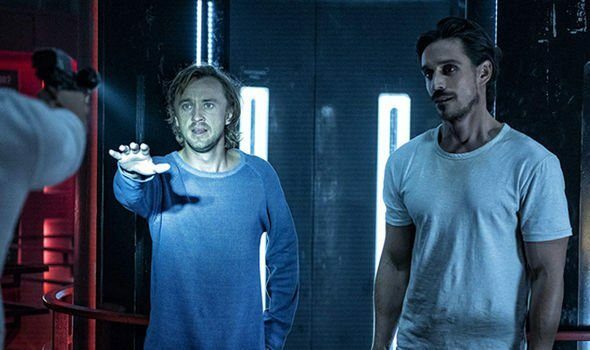 The cast includes Natalie Tena, Tom Felton, Sen Mitsuji, and Nora Arnezeder. Meanwhile, Overthinking with Kat & June is a half-hour female buddy comedy starring Tenea Intriago and Alexia Dox. Both Origin and Overthinking with Kat & June debuted in 2018 and now YouTube has confirmed the two series will not be returning for a second season. The cancellations sparked rumors that the streaming service is cancelling all current and future scripted original series, but YouTube denies the reports. What do you think? Have you seen Origin and/or Overthinking with Kat & June? Are you sad they’ve not coming back? More about: Origin, Origin: canceled or renewed?, Overthinking with Kat & June, Overthinking with Kate & June: canceled or renewed?, YouTube TV shows: canceled or renewed? Origin is an AMAZING show! Such a shame they cancelled it! We should start a petittion for a 2nd season ! At least like this they could end it well. Please let’s work together and make the 2nd season be heard! ORIGIN DESERVES TO HAVE A SECOND SEASON !!!! MORE THEN EVEN SOME NETFLIX SHOWS.